Buy my bus to learn about community! When VW beetles, kombi vans, or any Volkswagen air-cooled motor pass each other, their owner’s wave. There’s an unofficial community around the product. How cool is that to have people passionate about product? Do your customers wave each other? Do your products inspire a bond, knowingness amongst their owners, a community? Maybe you’d like to experience that VW passion. 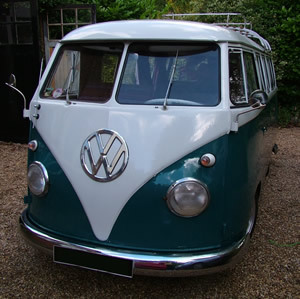 Look no further than the baddest bus in town; my head-turning 15 window is for sale on ebay!